So, Bout of Books 11 is rolling around. It takes place in approximately 2 weeks. Though I partook in Bout of Books 10, I wasn’t great about updates, challenges, or staying up to date with others’ reading goals. I’m hoping to do much better this round. 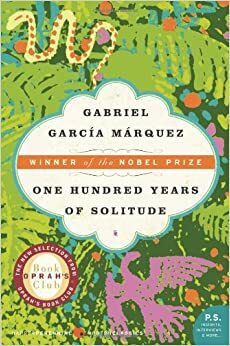 One Hundred Years of Solitude by Gaabriel Garcia Marquez I have wanted to read this for a long time. It’s a family story from Marquez, one of the most prominent magical realism authors. Marquez passed away a few months ago, so I think I’ll take the opportunity. If I don’t read it earlier. 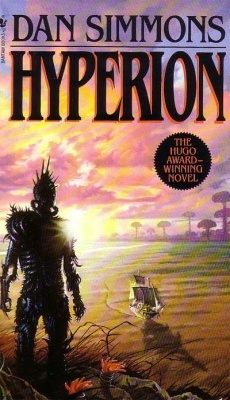 Hyperion by Dan Simmons This is one of my S.O.’s favorite books, and it’s about time I’ve read it. Otherwise, I feel like I’ll never know what he’s talking about or why he likes the books he likes. The Goodreads Reading Buddies group has also been making its way through Simmons’ quartet. 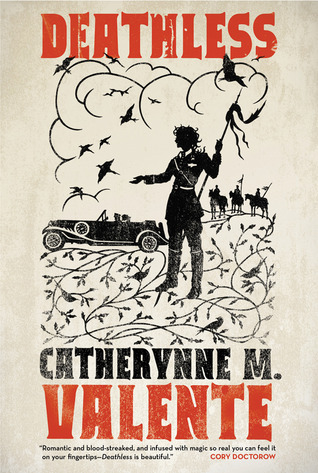 Deathless by Cat M. Valente This one has been on my TBR forever and I’m itching for some Valente. This one is supposed to be a Russian fairy-tale retelling. 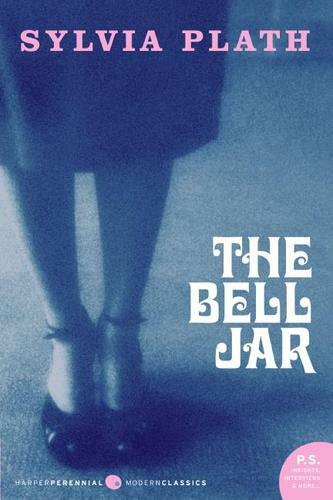 The Bell Jar by Sylvia Plath Can you talk feminism or women’s lit without some Plath? This entry was posted in Bout of Books and tagged Bout of Books, Bout of Books 11, Deathless, Hyperion, Marquez, One Hundred Years of Solitude, Plath, Simmons, TBR, The Bell Jar, Valente. Boxers & Saints is a duology that I’ve been wanting to get my hands on for a while now. It was surprising to me, then, when (1) my library had a copy, and (2) those copies were checked in at the same time. I didn’t even have to think twice. I snagged them off the shelf and checked them out. At the time, I was reading 1Q84 by Haruki Murakami and needed a bit of a relaxing read. Boxers & Saints tell two different stories about the Boxer Rebellion in China. One follows a Boxer, a rebel leader fighting against the forceful Christian sects that had arrived and been spreading into inland and rural China. The other follows a girl who converts to Christianity at the time. The Boxer Rebellion was a very bloody and violent time in both Chinese and Catholic history. You can read more about it here. -Yang works hard to show the way that religious doctrines clashed in the formation of the rebel group, the Righteous and Harmonious Fist, and how other existing religious/political factions paved the way for its development. On the down side, the story focuses far less on the group’s history than on the emotional responses that led to rural villagers joining the movement. -Yang depicts the rigid way that missionaries at the time approached proselytization and how culture clashes fed into conditions for violence. He also shows how the Christian missionaries were used as resources and provided social goods for members of the community. Though Boxers largely depicts the more harsh aspects of the missionaries in China at the time, it also makes sure to humanize the individual who were part of the church, if only briefly. This makes the violence resonate. 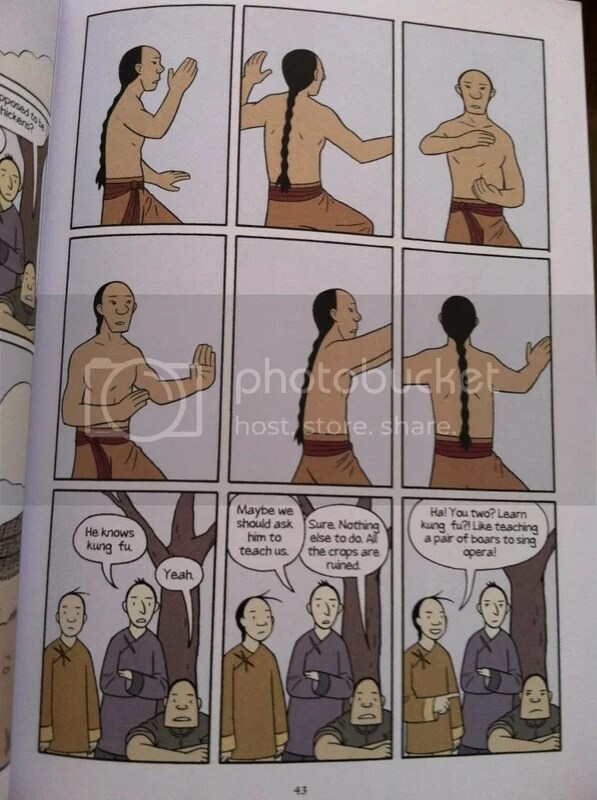 -The story focuses on a young man who helps to form and lead the Righteous and Harmonious Fist. Yang makes a point of using this character as a means to show the sometimes self-interested developments in the movement. -Yang talks alot about how the people came to believe themselves to be empowered by supranatural beings and entities, taking on the powers and personalities of existing Gods. This was interesting, but a bit unapproachable at times to someone not in the know. In Saints, Joan of Arc was invoked. That was a bit more approachable and poignant for me. 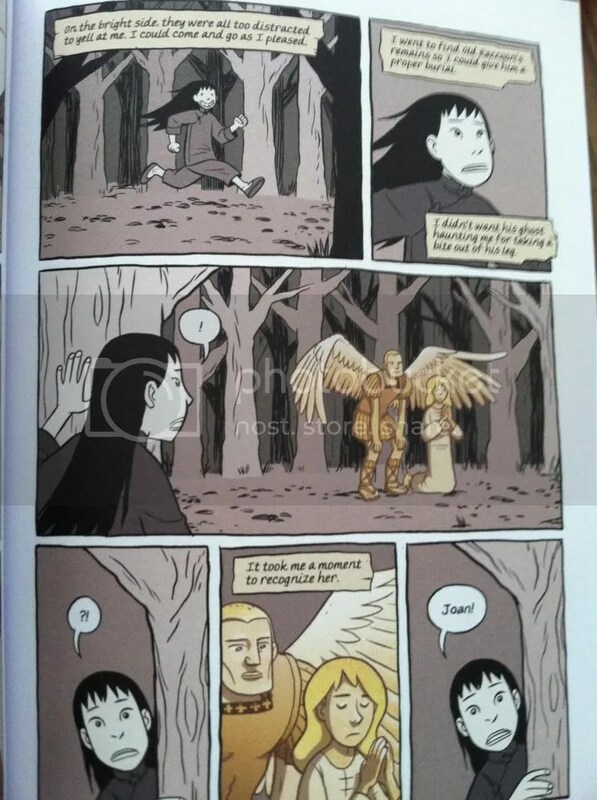 I especially liked how the community leaders jumped on the idea of a young Chinese girl seeing and having a connection with Joan. -I wish there had been more history involved. The history was in the story, but at times without context. -The art was simple, but was able to convey nuance and humor. Overall, there often wasn’t enough historical context for my taste. It made some of the story harder to follow than it needed to be. I gave the pair a 3.5. I liked the second installation, Saints, more. It had some interesting portrayals of the Church’s missionary work in China and was a bit more approachable. 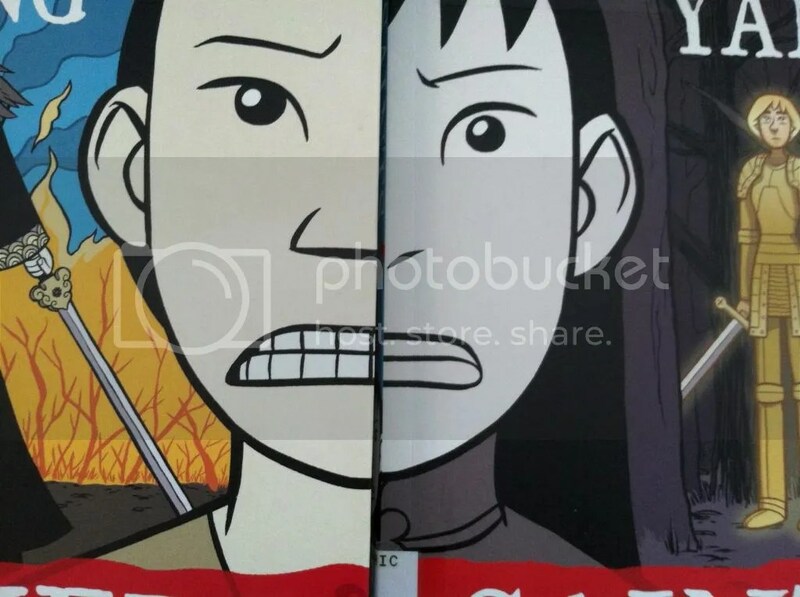 This entry was posted in Graphic Novels and tagged :01, Boxer Rebellion, Boxers, FirstSecond, Gene Luen Yang, Graphic Novel Reviews, Graphic Novels, Review, Saints. So, I know I look tired, but just…ignore the sleepy. It’s been a bit of a slow week, but I read some good stuff! O, Africa! is the story of two brothers: Micah and Izzy Grand. The brothers, Jewish twins from New York, have been making comedies for years. With no one to depend on, the orphans have grown into very different, but co-dependent personalities. Micah has embraced a life of debauchery. By contrast, Izzy lives like an ascetic. Set in the late 1920s, the brothers have made it into the movies. Micah directs and Izzy films movies for Imperial Productions, a b-list movie production company that is sticking firmly to the silent movies, refusing to embrace the new talkies that are taking over the filming business. Imperial Productions is failing. In a last ditch attempt to save the company, they beg the brothers to go and take stock footage to sell to other companies, specifically, they’re to be sent to Africa. At first, they refuse. Micah does not wish to leave the comfort of New York and his mistress, a black woman named Rose. But, Micah is caught up with a ring of gamblers and is over his head in debt. They give him a choice: go to Africa and film a side project for them (a film to be titled O, Africa!) or come up with the multiple thousands of dollars that Micah simply does not have. O, Africa! has been marketed as a book for Kavalier and Clay lovers (review here), and I can see the influence. First generation American Jews in New York making a living in art that’s been considered by their contemporaries as pretty low-rent. There’s self-destruction and discussion of homosexuality and it’s implications for a man living in the macho years surrounding the World Wars. Conn even tosses in some race discussion for an added twist. However, I didn’t like it nearly as much as Chabon’s work. One of the most interesting things this book presents is the discussion of race. It’s prevalent throughout the book and one of the main plot motivators. Conn does a good job of including race and interracial dynamics in pre-Civil Rights era America in a way that isn’t overwhelming or overly-hokey/overly-used. Please keep in mind, that I say this knowing that my own perception of history, race, and interracial dynamics is, of course, limited. I am, after all, a white female in a Midwestern suburb with a predominantly white, middle-class population. Conn doesn’t present Micah’s relationship with the African-American community as one of either companionship or hostility. Instead, Micah is fascinated. He’s interested in a population that he views as parallel to the rest of the world but also very other. He’s portrayed as being condescending, self-deluded, and unkind in the way he approaches blacks. He is indebted to a black man who runs a gambling ring, and Conn says that Micah views the gambling losses as a kind of admission to the zoo. Rose, Micah’s black mistress, is described as passably white, and, though she is proudly and actively invested in black empowerment groups, she is in a kind of in-between because she is light-skinned. Interestingly, Conn chooses not to make the fact that she is black a terribly scandalous aspect of their affair. Micah’s brother’s and coworkers know about the affair and, on the rare occasion that they say anything about it, really only bring up Rose’s race as an impediment to claiming her in public. Izzy is the artful brother. He does all of the camera work and most of the editing. He’s someone who is supposed to see things, but is very withdrawn and self-denying. Izzy is gay, and despite encouragement from his brother (who has surprisingly little to say about his brother’s sexual orientation and is, in fact, quite accepting) Izzy has never acted on these impulses. Without saying anything about what happens to Izzy over the course of the book, I was surprised with some of the reactions that Conn ascribes to him. Izzy becomes quite reckless and emotional. For someone who has spent the vast majority of his life using extreme restraint and who seems to be able to distance himself from the chaos around him, Izzy goes down a surprisingly chaotic path. Aside from some of the strange character traits, I was turned off by the writing style. Conn uses more adjectives and modifiers than are needed. He often writes trailing lists of synonyms or rewordings that are over six units long. It made for a long read. The writing was pretty purple-prosey to begin with. It was tiring and did not let up. I would give this book a 3. It’s got a lot of the bones of a great work, but some of the characterizations and writing style choices just didn’t do it for me. 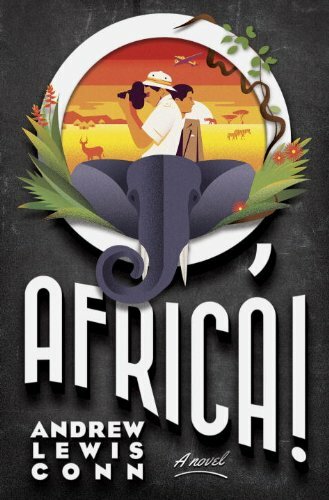 This entry was posted in Reviews and tagged Africa!, Andrew Louis Conn, book reviews, Books, Izzy Grand, Micah Grand, O. A far away star supernovas and sends waves of force and change rippling through the cosmos. The waves crash into Sarnen Karnea’s world and thrust him into a deadly struggle to keep his loved ones from harm and to keep a secret about his son from the Zangava Empire. The waves awaken new and old forms of consciousness, and stir ancient primordial resentments, that threaten to destabilize the Empire’s dominance in the world. Challengers from across the ocean, and from under it, seek to capitalize on newly developing Imperial problems. Like the Empire, Sarnen must adapt to survive, and must ask himself which of his virtues he is willing to deny in order to reach his goals. 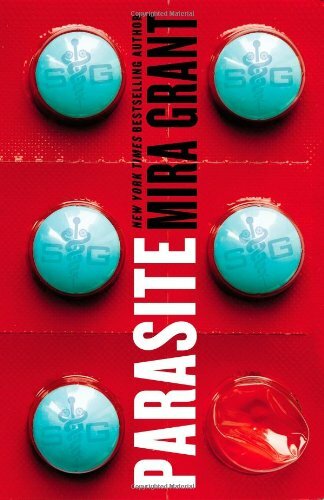 One of the biggest problems I had with this book was the way the world was introduced to us. Lominec explains the world primarily in two different manners. The first and most predominant way that the world is shown to us is through character’s conversations. Characters would have discussions, often with other characters who seemed familiar with the situation or who ought to have been aware of the situation already. One character would ask a series of questions about the state of the world or the character’s background and the other would respond. This often led to discussions that seemed stunted. It also made the explanations for things take a lot longer than they probably needed to. This is largely a personal preference, but I enjoy the explanations for the world to be given to me in narration. I find that this often leads to a more brief and fast paced world-building and also makes it so I don’t miss as much when reading and what I do read feels less repetitious and rote. I don’t know what a scorpion missile is. It took a long time for this book to pick up or feel cohesive. I struggled to focus on the story when reading. I think this was largely due to the narration and conversation balance. I also was constantly struggling to figure out what kind of a world I was in. There were dinosaur-like creatures, magic, elementals, and asteroids. It was a bit confusing to place. Overall, I’d give this one a 2.5 out of 5.